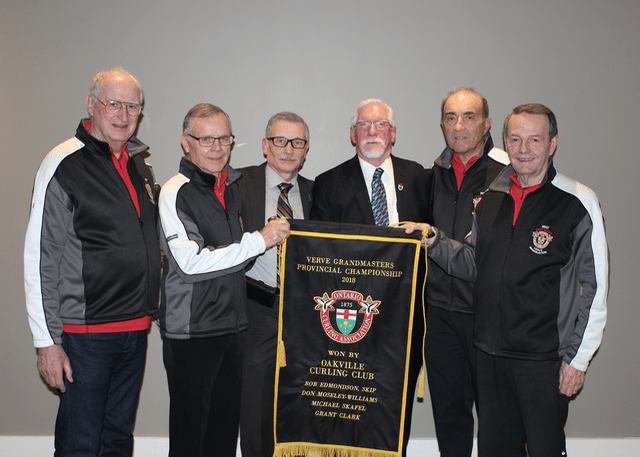 Oakville Curling Club - Banner Presentation - Team Edmondson! Banner Presentation - Team Edmondson! At our Evening Men Closing Event we proudly celebrated Team Bob Edmondson’s accomplishment of winning the Verve Grandmasters Provincial Championship 2018. The banner will be proudly displayed in our club lounge. Congratulations on this tremendous achievement!